Are you wanting to create good Instagram captions or maybe didn’t even know that captions for Instagram were important? When you have a strategy for captions for Instagram you are tapping into a world of engaging storytelling that gets more eyeballs on your content and more results for your business. 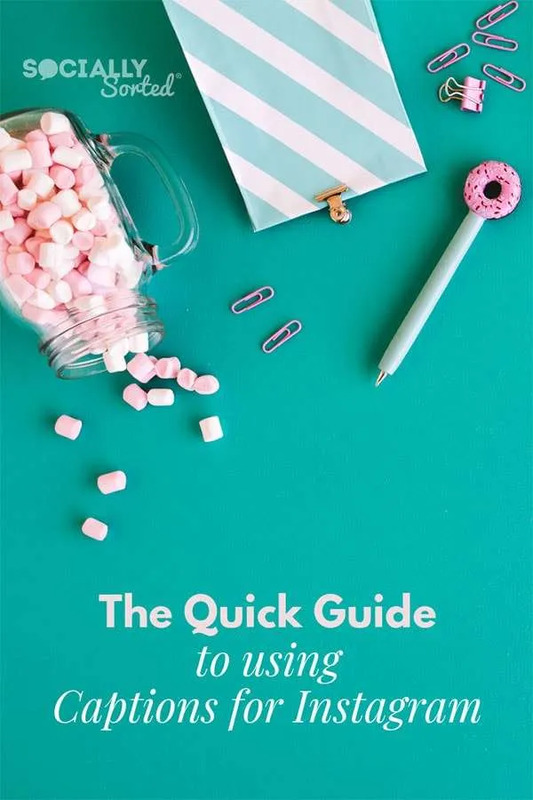 In this post I share a quick guide to Instagram captions, why good Instagram captions can change your results on Instagram and how to make this whole “Insta Captions” thing easy for you to write and post – saving you time while increasing Instagram engagement. You’ve worked out what to post on Instagram, but coming up with Instagram captions can be hard but when you have a good framework for writing them (and a reason for writing them!) it becomes much easier. On Instagram, Instagram Stories and IGTV, your captions are JUST as important as your images or videos. In fact, you need to be thinking about good Instagram captions before you even create your images or video. It’s that intertwined. 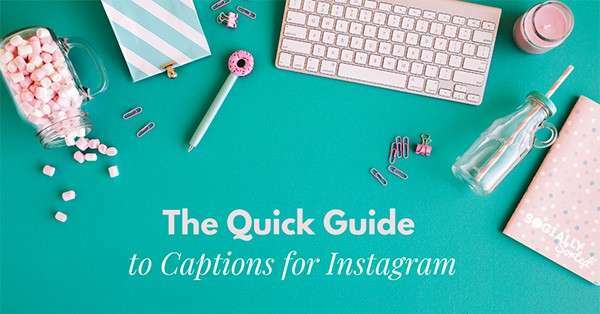 So let’s jump into this guide, so you can start creating some of the best Instagram Captions, no matter what type of Instagram Post you are creating. Why Create Good Instagram Captions? Captions on Instagram are all about Storytelling. Or more specifically.. extending the storytelling. It starts with the picture or video, continues in the caption and then often comes back to the image or video. It’s a fluid and symbiotic relationship. Great Instagram captions are really the key to engagement. You have to draw us in with some conversation and captions are all about conversation. Some of the best photographers, Instagrammers and storytellers I know don’t stop with amazing visuals. They tell stories in the captions. The Instagram Algorithm favours engagement, so tell stories in your Instagram captions to encourage engagement. If you include questions, interesting perspectives, stories and calls to action – your audience will be more likely to engage. Instagram sees that more people are engaging, and is more likely to show more people and so on… even maybe putting it on the Explore Page. So… Instagram captions are worth it! Give us more information about the picture or image or video. Help us to truly understand your reason for posting it, what it’s about, and what the story behind it is. You can’t go past Lauren Bath for adding context to amazing images. I mean, her images stand alone, there’s no doubt about it. But she manages to take them soooo much farther by adding context with detailed descriptions. And note that Lauren always replies to comments – engagement breeds engagement. By the way, follow her account here. It’s full of simply stunning travel images from around the world. National Geographic is another account that masterfully tells stories in the captions. The photographers usually write the captions themselves and it adds a depth of story that just hooks you and draws you in. I was intrigued by this photo but then discover so much by reading the caption about who this girl is, who her family is and where her heritage lies. The photographer, Carlton Ward, describes his experience staying with her family and taking this photo in such detail (and so respectfully). You can almost smell the woods. You get just 20 characters or so to make an impression if someone is scrolling through the feed on Instagram. Make sure you make the start of your Instagram captions actually count. Put your most engaging sentence, hook, heading in the first few words, because they are the words that will make someone stop and scroll. Similarly if you are writing an Instagram TV (IGTV) caption then think about hooking us with the heading! I love the simple way that Orange Sky Australia hook us in with such a simple line “Last night we met Dan” and then a break before the rest of the copy. How can you not want to know who Dan is and what his story is after reading that? Last night we met Dan. Dan was walking by and saw the van operating in Kibble Park, Gosford. He had no idea what Orange Sky was but his curiosity got the better of him. Dan is the kind of guy who takes everything in his stride. He is currently living with his mate after being broken into one too many times over the last few weeks. He loves his guitar and his hat and even treated us to a bit of Sweet Child O Mine. Dan wants everyone to know that everyone deserves respect no matter how they look or act. “A simple hello and a shake of the hand is all I need to get by everyday. It is those simple acts of kindness and people’s genuine nature that connect society and help people to wake up the next day ready to be the best person they can”. We think so as well and we are proud to be out there on the streets every night of the week Positively Connecting Communities. Orange Sky do Instagram captions well. They are not just about giving laundry services and showers to those in need – it’s about the conversations that happen between the clients and volunteers. Humor, should I say “Humour” for my fellow Aussies is so powerful in Instagram Captions. You can’t go past humour. If you can make us laugh in the captions then that’s a good Instagram Caption because we instantly connect with you. Although long captions work very well on Instagram, sometimes a mix of a funny picture and a brief, funny caption is just the ticket to make us laugh. You can’t go past death wish coffee for this. Their quotes and posts are a daily dose of coffee-laden hahahaha. And seriously, people, I’m perplexed too…. how? On Instagram it’s important that you go long with your captions. Don’t just write one line, write a paragraph or two (or even more). Draw us in with detail. Make us feel like we are sitting down with a coffee (or wine) enjoying a conversation, listening intently to what you have to say. Instagram captions can be up to 2,200 characters. That’s gives you plenty of time to say something engaging. Don’t ramble but by the same token, give your story the space it deserves. When it comes to telling stories in the captions, Branden Harvey is a master. He works with many brands with storytelling and his images are beautiful, but it’s the captions where the real magic happens. Like this story. As I said in #2… he hooks us in with the first line. How can I not find out about the best food truck he’s ever eaten at? It might just have been the best food truck I’ve ever eaten at. . As a part of this rad sponsored campaign I’m doing with @americanexpress I was introduced to Syd Suntha — the founder and owner of @breadandcircuses. (They’re celebrating the fact that over 18,000 more places in the Seattle-Tacoma area started accepting Amex in 2016.) . Bread and Circuses rolls up to a new spot to serve their delicious food every day. On the day I met Syd, his truck just so happened to be at a music festival in the heart of Seattle. Syd and I sat outside his food truck, listened to music, ate popsicles, and talked about his journey. . Syd’s background is actually in fine dining. He learned the art of making food in culinary school and then nice restaurants, working in large expansive kitchens with limitless room and possibilities. . This covers many facets of great captions on Instagram, but to create a good Instagram Caption that helps us to create a relationship with you and your brand… you have to let us in. Reveal something about yourself. Some of the best captions aren’t about how amazing your images or videos or Instagram Stories are. They are about something we didn’t know about the people or person behind the brand. By sharing something about herself, Liss’s audience connects with her more. When it comes to wanting to learn how to do lettering themselves, who do you think they want to learn from? That’s right, Liss. Which leads us into…. Think about all the ways you can inspire us with your captions. Take us further into your story. While we are talking about Liss, let’s take a look at one of her hand lettering videos and how she uses her gorgeous words to inspire… in the captions as well as in the image. In fact this post makes 1000x more sense (and goes way deeper) when you read the caption. Tell us how you got started, how you pushed past some major hurdles, how you stay productive, how you achieved a major win, how you turned a failure into a success. Even a story from your childhood… there are many ways to inspire, even if it is just a quote with your thoughts about that particular quote in the captions. If you do post a simple quote or an inspirational post … follow it up with some context. Remember No 1? However you leave us at the end of reading the caption, it should be with a slice of value. Adding more information your post not only adds value to your actual image or video or IGTV. It adds value to your viewer. Give them something they didn’t have before – an insight, a laugh, a takeway, a challenge, a reason (for doing something new). Peg Fitzpatrick often merge tips into her posts, always giving some value in the shape of takeaways that her followers can use… in this case how to go (almost) paperless and stay productive (in the face of a healthy notebook obsession). Your Instagram captions don’t need to be one-way. In fact, the more they involve your audience the better. Ask them questions. Ask their opinions. Find out what they think! It’s the best way to encourage conversation and conversation on your post leads to more engagement. That’s a big “heck yes” from me. It’s the first thing I look for when I get to San Diego (oh and a margarita of course.. you have to have something to wash it down with!). Hashtags are the lifeblood of Instagram. They help us to find great visuals and great content. So, include hashtags. 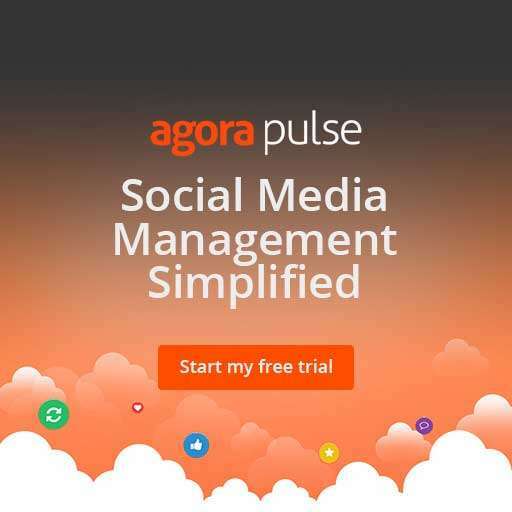 They are one of the best ways for your followers (or followers-to-be) to find you. I tend to use hashtags in a group at the end of my post but I will often add relevant hashtags IN the post especially if they are about events or celebrations or relevant to the topic I am talking about. Try to fit them right into the sentence in context. On Instagram, followers are loyal. If you give them context, give them value, they will respond with loyalty. They will usually do what you ask them to do – provided you give massive value first and gain their trust. Then you can give them a Call to Action. Tyler J McCall is a master at giving value in his captions as well as leading nicely into a CTA that doesn’t feel forced. Follow his lead and make sure you give value first… then asking someone to do something (like sign up for a webinar) is so much easier. A Call to Action could be as simple as liking or commenting on a post, or visiting your Instagram Story, watching IGTV or leaving a direct message. It could be to tag a friend or visit the link in your profile, Instagram Story or IGTV description. It could be something even more specific like reading a blog post, signing up for your webinar, downloading your ebook or buying your product. It’s also more effective towards the end of the post – don’t just throw it out there at the start before you give value in other ways. It can even be a call to action to do something “in real life” like this CTA to come down to the Roost Napa Store with a special code word (a gorgeous fun gift shop in the Napa Valley, California. The owner is super fun). It’s Bastille Day, at The Roost! Come down , a very special surprise guest will be making an appearance! 20% OFF Everything, if you say the secret word BASTILLE! Your Bio – it’s difficult to give a Link on Instagram posts so adding them in your bio is the next best thing. If you use a tool like Linktree you can add one link where your followers can click and see all of your links in one place. It’s super easy to update in a snap with any new links. Your Instagram Stories – if you are lucky enough to have a Swipe Up function (if you have over 10,000 followers or a verified account) then you can add a link here. Your DMs – it’s a little workaround but ask your followers to respond to your conversation or question in the DMs as you can provide links there. You can almost tease them into asking for more info about something. Once they make the effort to come from you Instagram Captions to your DMs to message you, then it’s likely they will click a link they give them as long as you are providing value. Sometimes (not all the time) it’s useful to announce something at the start of your Instagram captions like “NEW BLOG POST” or “GIVEAWAY”. But use this wisely. You don’t want to be shouting something at the start of every post. Use it for your most important promos or shout outs. Here’s an example of how to do this. Amy Porterfield posts an inspirational quote that’s relevant and then announces a new podcast episode in the captions with “NEW EPISODE ALERT”. NEW EPISODE ALERT 🎧 🚨 Is there someone out there that you consider a mentor, who has impacted your personal and business life, but you’ve never met them? . I’ll tell you who one of mine is, but I want you to share with me who yours is in the comments below, too. . So, one of those type of mentors for me is Shonda Rhimes. She’s the creative powerhouse behind Grey’s Anatomy, Scandal, and How to Get Away with Murder, and she wrote a book a few years ago called Year of Yes that really resonated with me. . I’m sharing five lessons that I took away from her book that have impacted my personal and business life in a pretty major way. . Click the link in my bio to listen! Amy might do this maybe once per week – it’s not overkill, so it still remains effective when you see it at the start of one of her posts. Especially if you are a fan of her podcast! Emojis are awesome eye-candy. They draw us in with their splash of color and fun! You don’t need to fill your entire post with emojis but use them strategically! Use them to convey (lol) emotions or your reaction to something or maybe around a holiday or event. Jasmine Star uses emojis like a language in her posts – they both catch your eye and give the post some flow and spark! If he was 26 years younger, you’d think we were twins. We think, talk, and yes, even walk the same. 👯‍♂️ I suppose that’s how my dad always stayed one step ahead of me as a kid. He knew I held in my tears when I fell in front of strangers. He knew I lied about curfew. He knew I punished myself for not earning extra scholarships for college. 🙋🏽‍♂️ All those years he was there, waiting with his brown hand extended, ready to pull me from the isolation. 🙏🏽 Yesterday at the beach my dad took my hand and pulled me toward the ocean. I said NO, I’m not going in the freezing water…I’m not going to get tossed by the roaring waves. 🌊 Listen JB, he said, you’ll be fine. He called me by my childhood nickname. 🙇🏽‍♀️ And in that second, I my muscles relaxed because I remembered who I was when I held his hand. 🙋🏽‍♀️ I was brave, whole, and safe. More than anything, when his fingers laced around mine, I felt loved. 💕 They dared us to jump into the freezing water, my mom and sisters heckling us from the sand. 🗣 But I think they forgot who they were talking to. Me and my dad? We’re basically twins and when we hold each other’s hands, we’re invincible. ⚡ Happy Father’s Day, papi. Te amo y gracias por todo lo que soy. And her account is a great one for learning how to do engaging storytelling in the captions. You can tag other users in your Instagram Captions, as well as tagging on your actual picture. Tagging on the Instagram Caption is a good strategy as it is visible and the person doesn’t have to tap the image to see all the tags. They are right there in the image. By all means tag them in the photo, but always add the tag to the caption as well for all to see. Do this with intention to add value. Only tag someone if you are genuinely doing a shout out or want to share their account. There is nothing worse than being tagged in a random post by someone hoping you’ll bite and engage with them. Ugh. Don’t be that person. Tag to give shoutouts and give value. You want your followers to follow the people you are tagging more than tagging people to get them to bring followers to you. Got it? 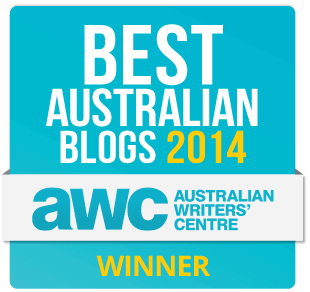 Are you Ready to Write Good Instagram Captions? Great! These tips will keep you inspired to mix up your Instagram captions and make them engaging! If at any time, time you feel like your captions are not getting enough engagement, then look at the list of 13 tips and add one of them to your captions. Easy! Write your Instagram Captions ahead of time. This is so that you have time to add some thought into creating a good Instagram Caption … or even GREAT captions for Instagram that wow us. Batch write them when you are in the zone! Schedule your Instagram posts (even your Instagram Stories) ahead of time. Use a tool like Planoly. Write your posts as you schedule them or maybe go back in when they spring to mind. Either way, batching them is a great idea if you are writing fluidly. Use action words in your Call to Action – ie subscribe, join, visit, check out, discover download, watch etc. Disclose Sponsored Content – If you are posting sponsored content on your Instagram account then be sure to add very clearly that it is sponsored (in your Instagram captions) and preferably also include a hashtag like #ad or #sponsored. Again, make this clear and put the hashtags at the start of your captions for Instagram, so it’s visible before the caption gets shut off. You can always continue your caption and hashtag list below it. Don’t just stick to super popular hashtags. Use related hashtags that the person might also be interested in. So for example if your target is #yoga then you can also use hashtags related to yoga including meditation or whole foods. Think about what your audience will be interested in that is related to the main topic and add them to your Instagram captions. Use a mix of hashtags. 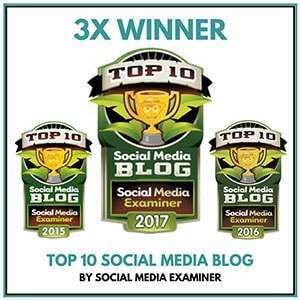 By using popular, niche (specific to your topic or industry) and specialty hashags (related to you or your brand like events or challenge hashtags) your content is more likely to be found. Keep a list of hashtags for your Instagram captions. I use Planoly’s hashtag lists to keep and update my hashtags. Or you can save them into any software that allows you to keep lists or notes.